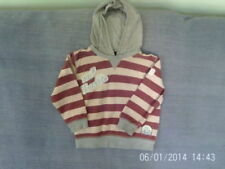 Boys, 4-5 Years, Zipped Hoodie, Grey with red arms, and rainbow stripe. Brand new with tags from NEXT. Catalogue number 190-312. RRP £12. Boys Next Army Print Hoodie 3-4 Years. Condition is Used. Dispatched with Royal Mail 2nd Class. Boys Next Zip Up Hoodie Jumper Red Age 9 Years. In good condition . Lots more boys clothes in similar sizes listed. Dispatched with Royal Mail 2nd Class. Uk only postage to a confirmed PayPal address. Lovely hoodie. Longline style with a slightly longer back and has two deep useful front pockets. Boys Next Zip Up Hoodie Jumper Blue Age 8 Years. In good condition . Lots more boys clothes in similar sizes listed. Dispatched with Royal Mail 2nd Class. Uk only postage to a confirmed PayPal address. 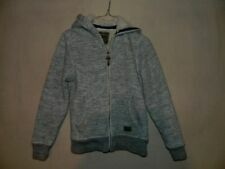 BNWT Next Boys Zip Up Hoodie Size 12 Years 11 -12. Condition is New with tags. Dispatched with Royal Mail 2nd Class. Boys Next Grey Zip Up Hoodie. Excellent Clean Condition. Two Front Pockets. Next Boys Hoodie Size 1.5-2years. This auction is for 2 hoodies and one sweatshirt. One is green which pulls over the head, the other is grey zip up hoodie with black stars all over. 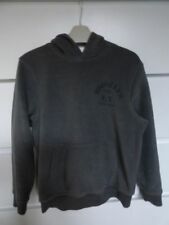 The sweatshirt is grey with rocket, stars, number logos.Condition is Used, but they are in good condition and from a smoke and pet free home.Dispatched with Hermes. This item is is not a great condition. Boys Next Hoodie sweatshirt zipped jacket age 9 years. Condition is Used. Dispatched with Royal Mail 2nd Class. Next Boys Age 7yrs light Grey Zip Up Hoodie. In good condition. Condition is Used. Dispatched with Royal Mail 2nd Class. Boys Next hoodie jumper 12 years Khaki Green Funnel Neck thumb holes Hardly worn Great Condition Please pay within 48 hours From a smoke and pet free home Happy bidding! Next Boys Fleece Hoodie Age 3-4 . Condition is Used. Dispatched with eBay delivery – Shutl 2-3 days. Boys Next Hoodie Age 5-6. In a used but excellent condition From a smoke free home. Next Boys Hoodie. Red And White Stripe. Age 4-5 Years. As pictured. In good used condition with minor fading, especially to the stripes close to the zip as shown. boys next hoodie 2-3. Condition is Used. Dispatched with Royal Mail 1st Class. NEXT Boys RED Zip Up Hoodie. VGC. Age 8. Next Boys Hooded Yellow Hoodie Age 2-3 Years! The joggers have got tapered legs. Boys Crocodile Hoodie From Next Age 2-3 Years . Condition is Used. Dispatched with Royal Mail 2nd Class. This gorgeous next long sleeved red tartan hoodie top with next logo embroidered graphic on front. Lovely as a extra layer, when a coat is too warm. Pockets on front. Zip to fasten. Elasticated cuffs and waist band. Tartan fabric to elbow patches and inside hoodie. Has been worn but still going strong. Aged 2-3 Years. 84% Cotton 16% polyester. Please see photo's. Comes from a clean, smoke and pet free home. Sorry no combined postage. Next Boys blue Hoodie, Age 8. It has two pockets and thumb cut outs. This Top is in great condition, however whilst taking the photo’s I noticed a patch of material that is a bit lighter under the squad writing, see close up pics. Condition is Used. Dispatched with Royal Mail 2nd Class. NEXT Boys NAVY Blue Zip Up Hoodie. VGC. Age 8. Boy's zip up hoodie from Next in good condition. This is a lovely blue boys hoodie top from Next. Age 7 years. 100% cotton. Very good, used condition. Looks great teamed with a pair of jeans. From a clean, pet free and smoke free home. Happy to combine postage with any of my other items that I'm selling. Thank you for looking. 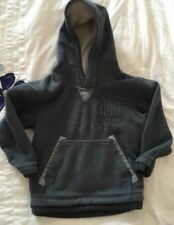 Kids Hoodie Next Red Zip Up Girl Boy Ex Cond Age 4-5. Had a little mark on back of arm, see picture. Sold as seen. Any question answered Condition is Used. Dispatched with Royal Mail 2nd Class. Next Red Boys Hoodie Age 7 Years. lovely bright red colour. In used but very good condition. From a very clean, smoke and pet free home. Dispatched with Royal Mail 2nd Class. Boys zip up hoodie 2-3 Next. Condition is Used but really nice. Dispatched with Royal Mail 2nd Class. Boys jacket/hoodie. 2 side pockets. Next boys age 4 hoodie. Condition is used. Coral pink in colour.